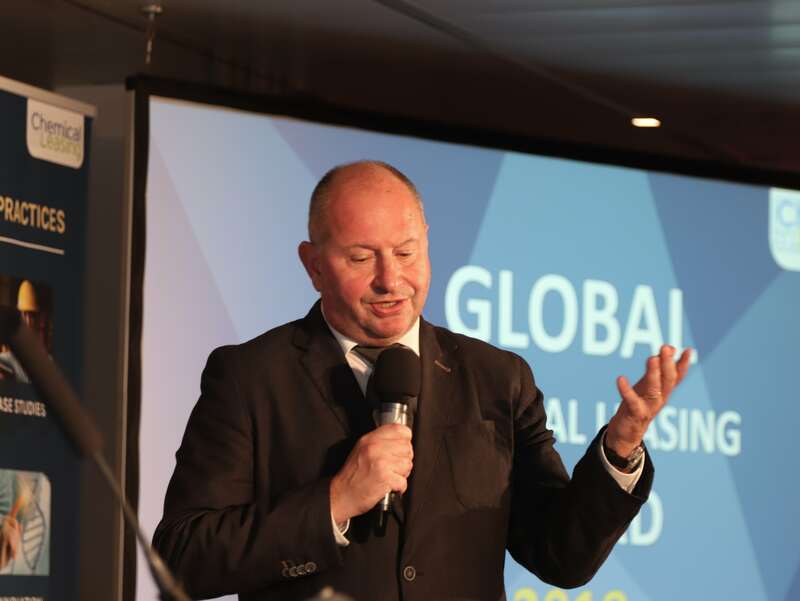 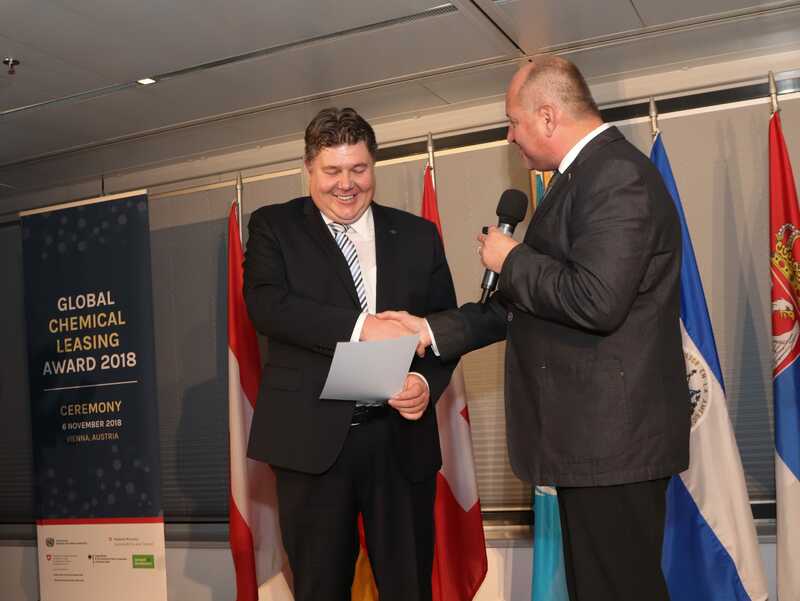 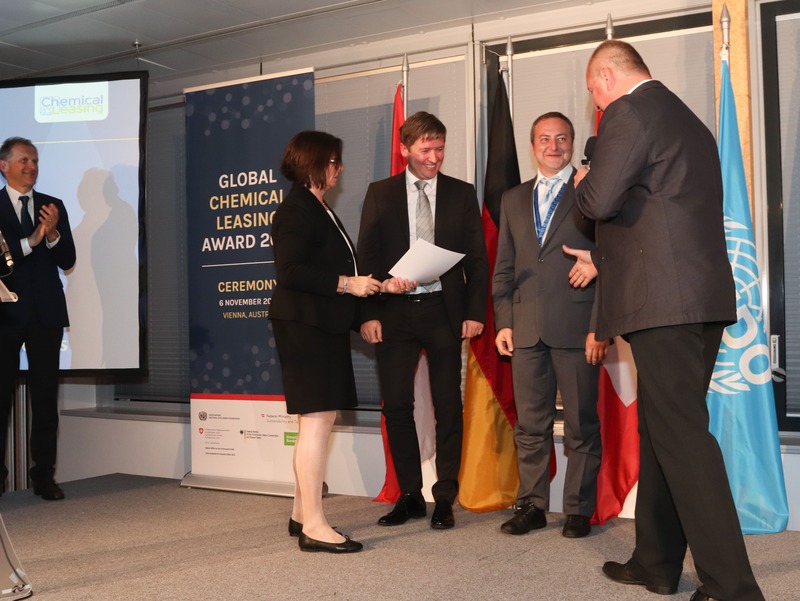 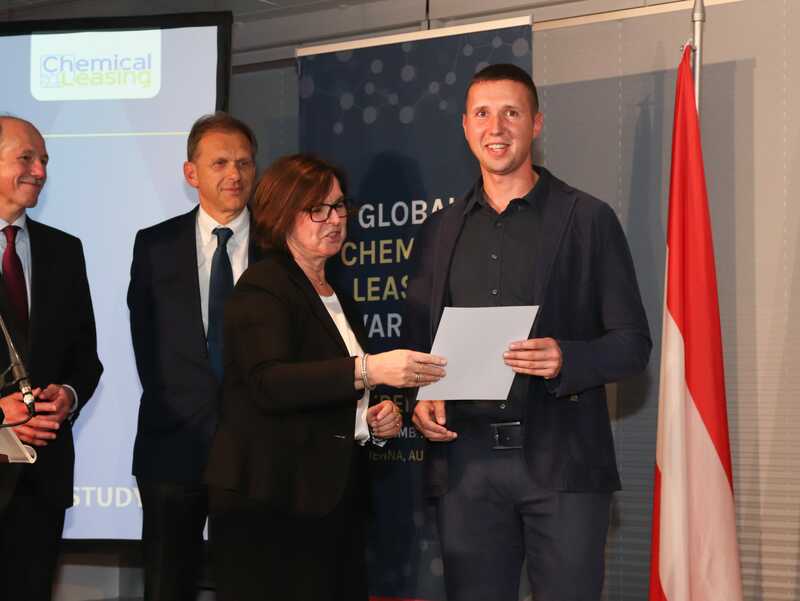 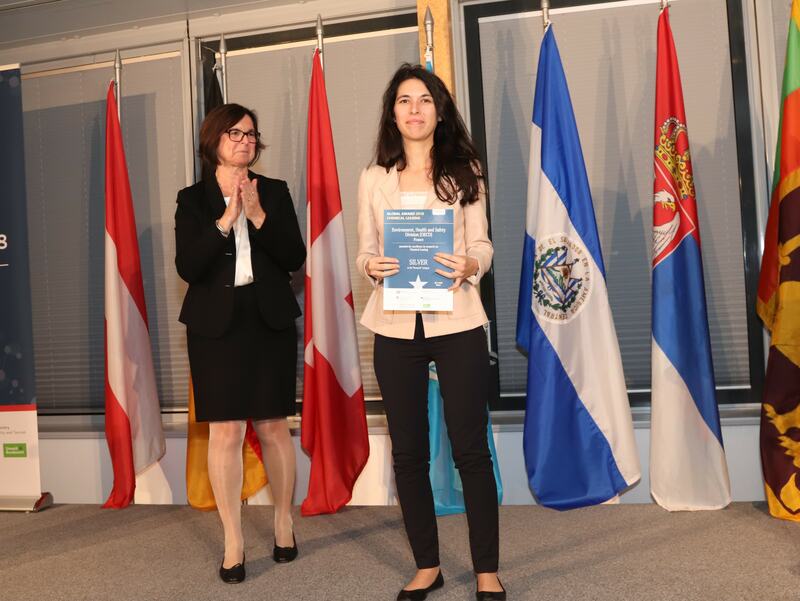 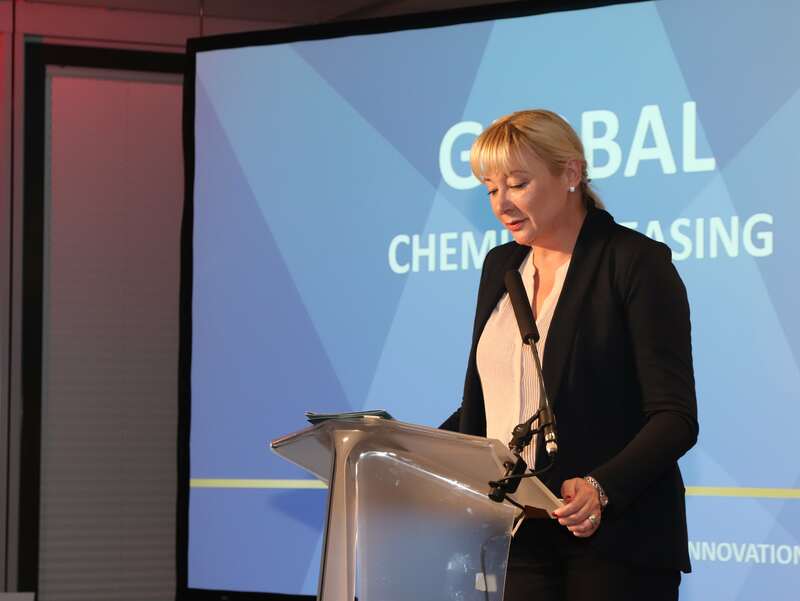 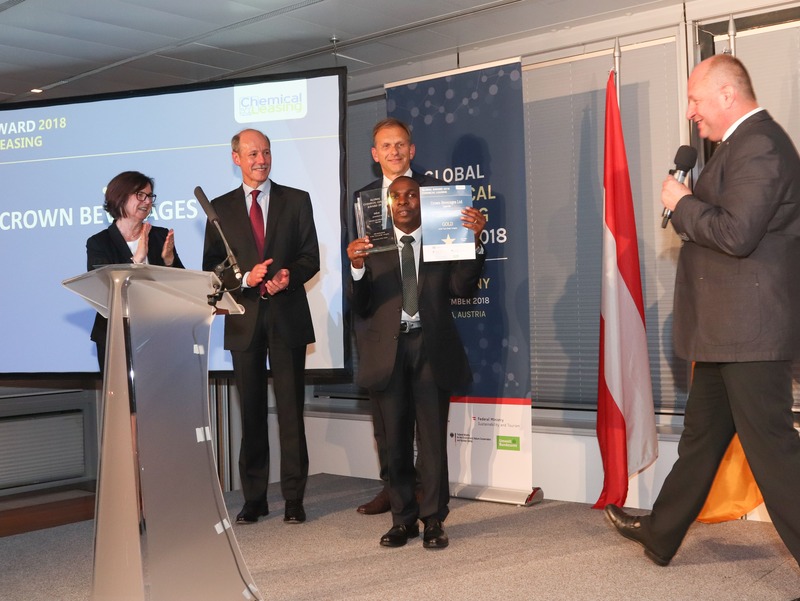 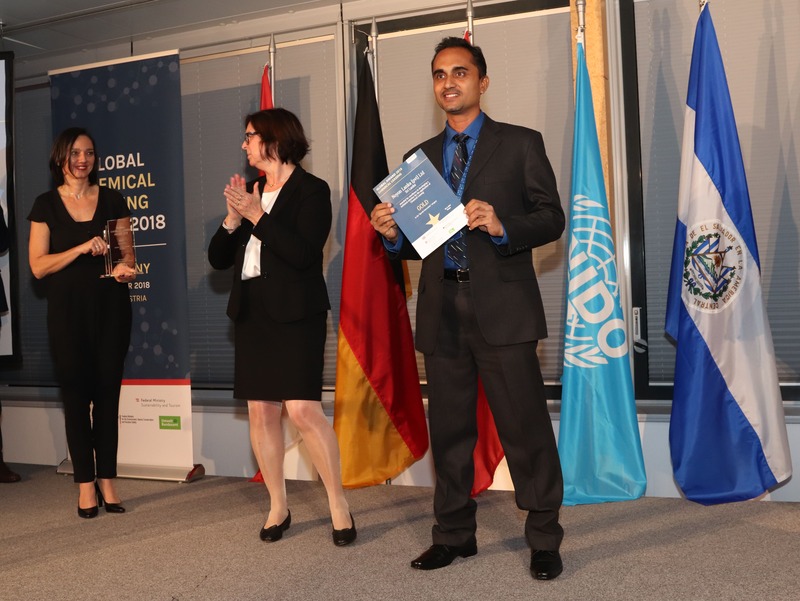 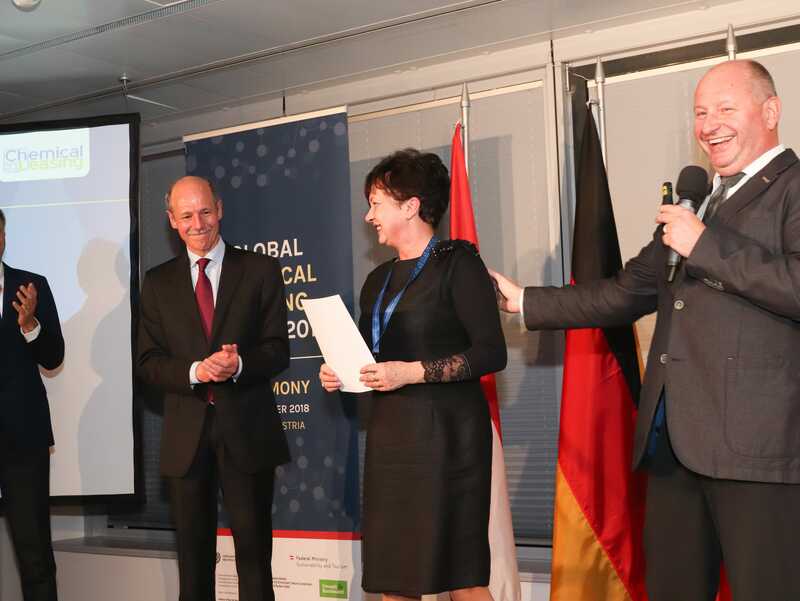 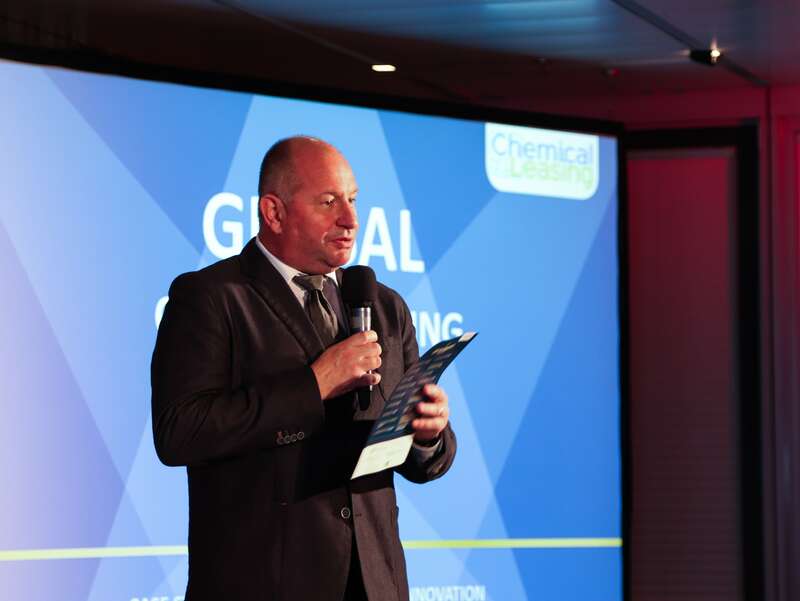 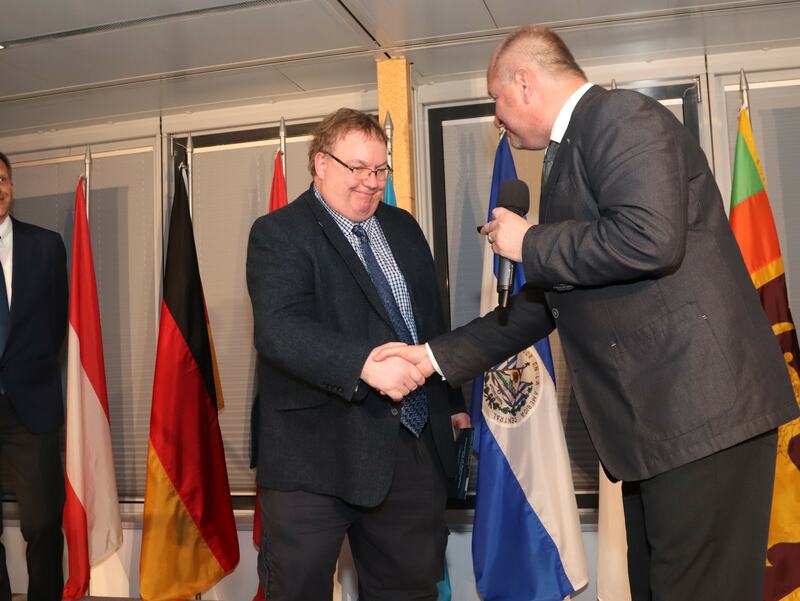 The Global Chemical Leasing Award Ceremony took place on 6 November in Vienna. 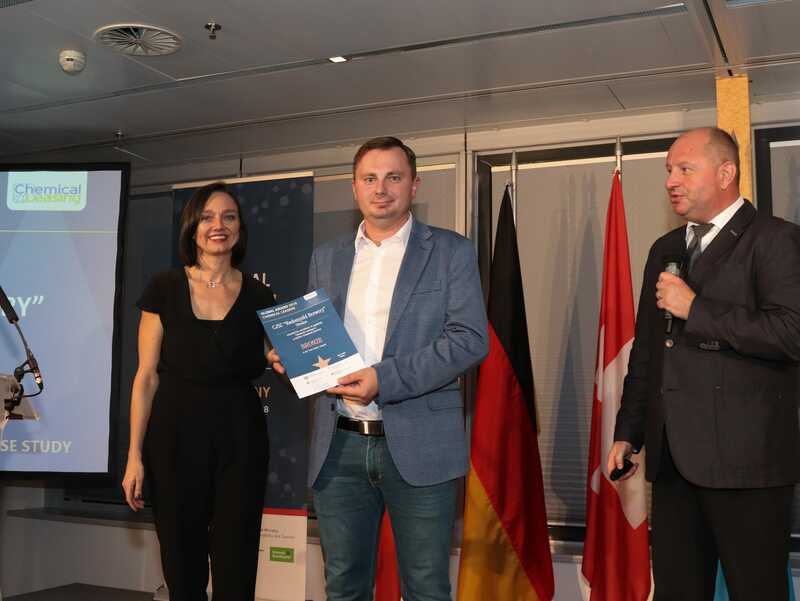 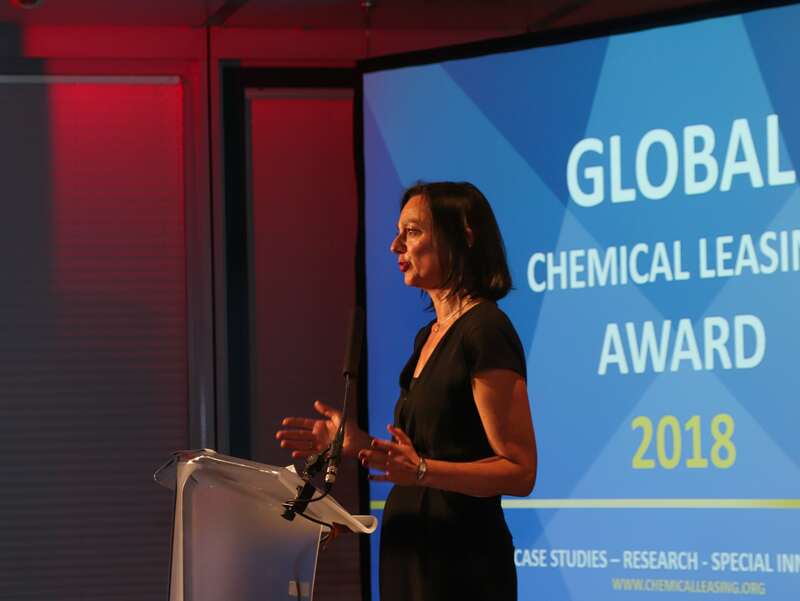 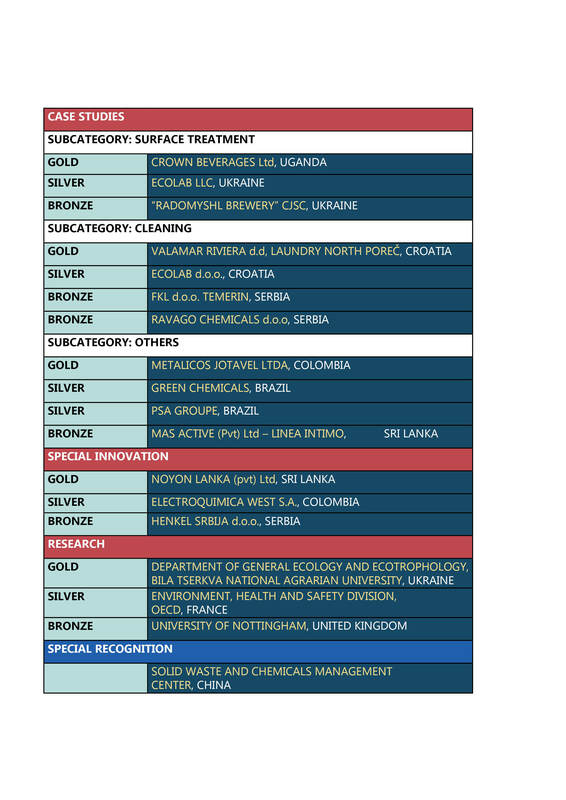 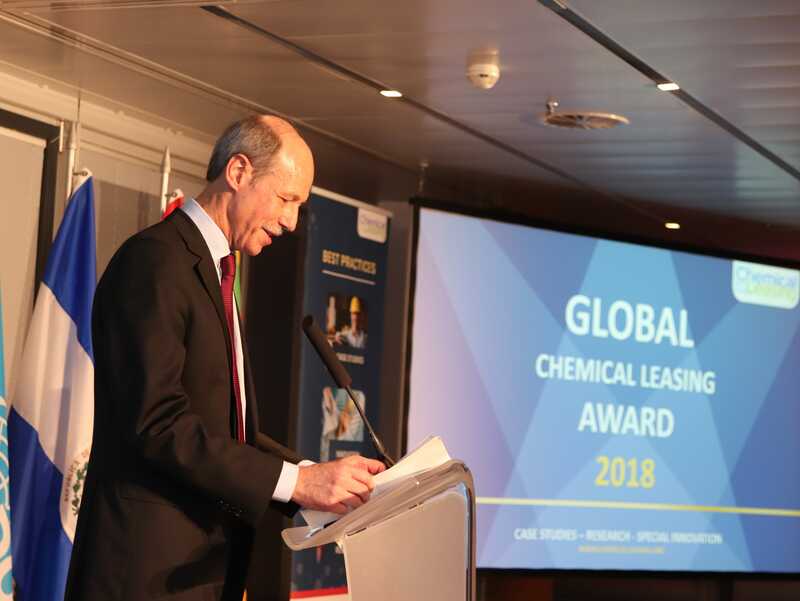 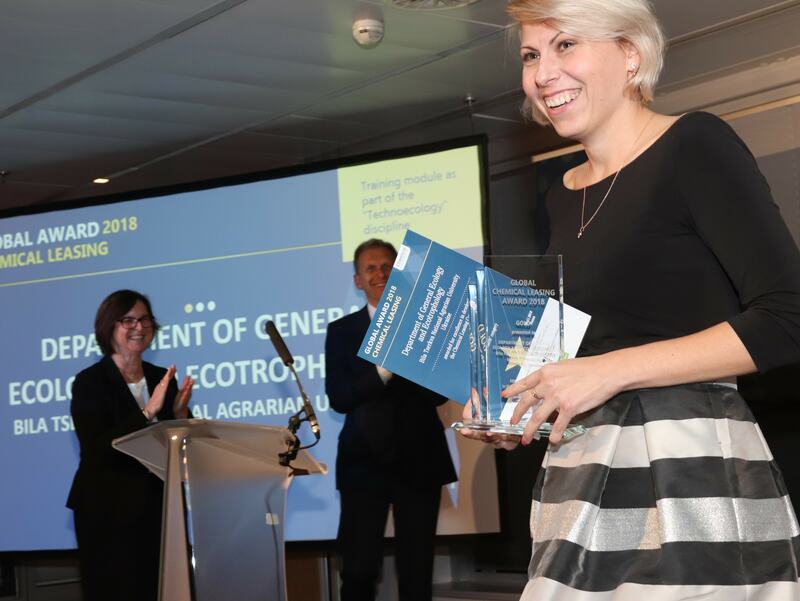 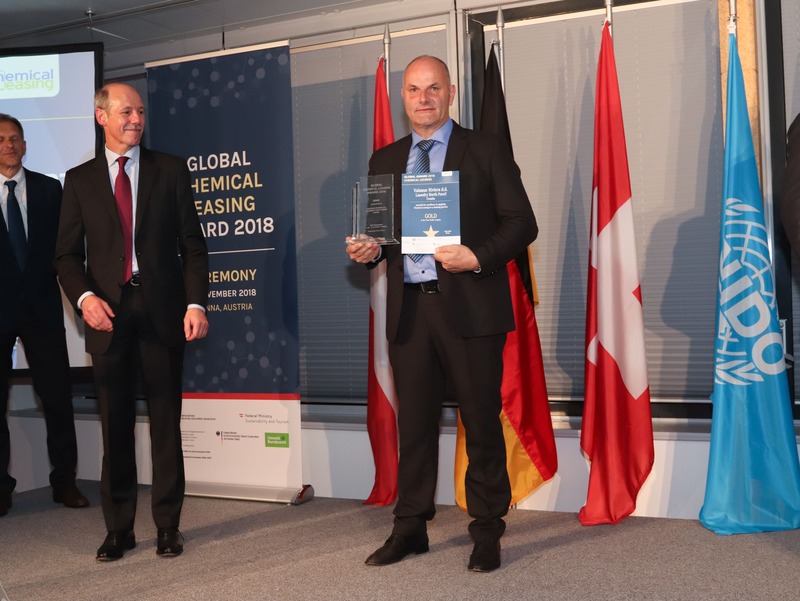 During the ceremony, the winners from the fourth Global Chemical Leasing Award in the three categories (Case Study, Special Innovation, Research) were announced. 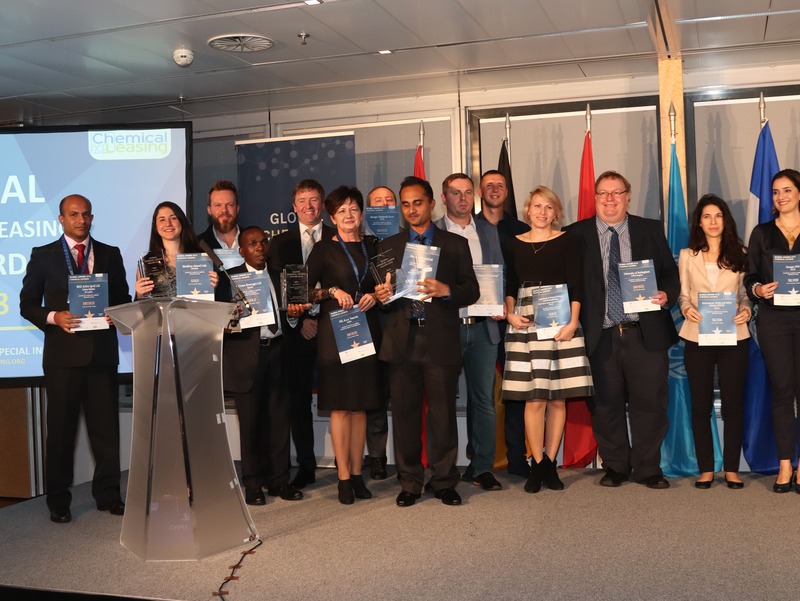 See the list of winners here. 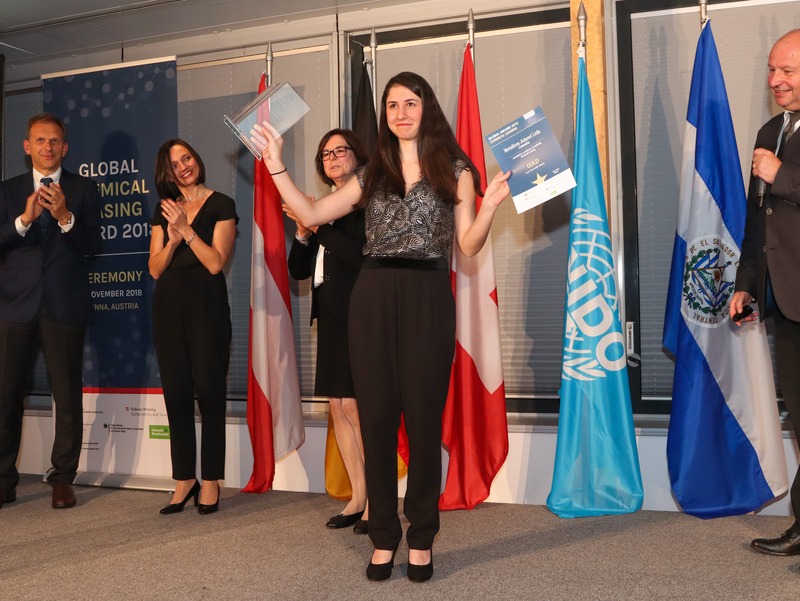 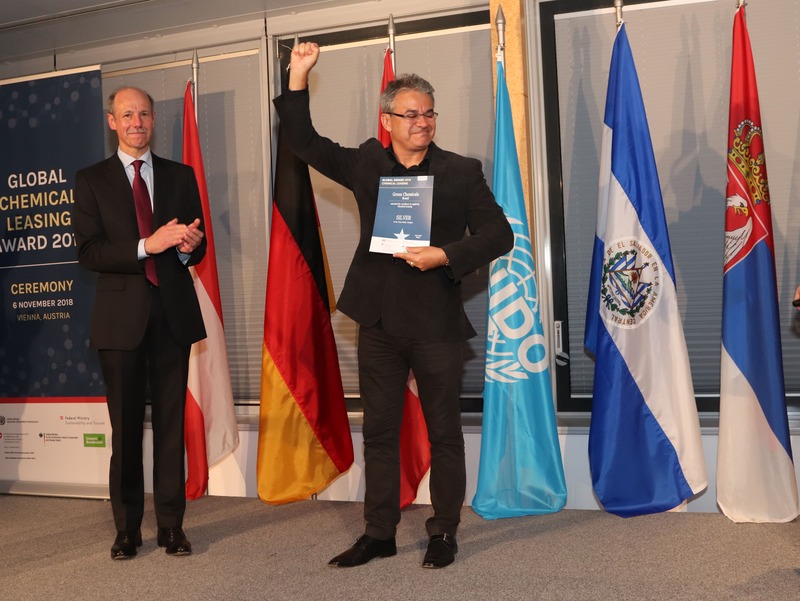 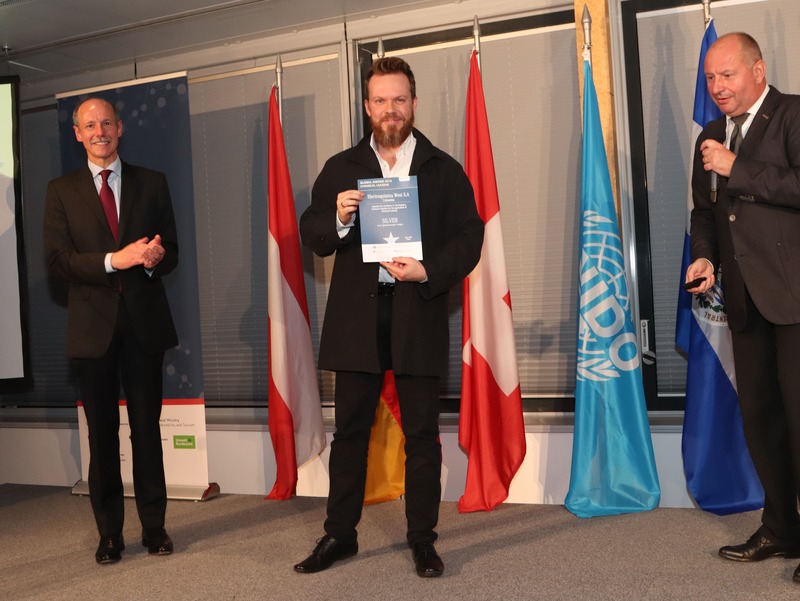 The Award, which was launched in 2010, promotes the application of innovative business models and inspires companies and individuals around the globe to foster sustainability. 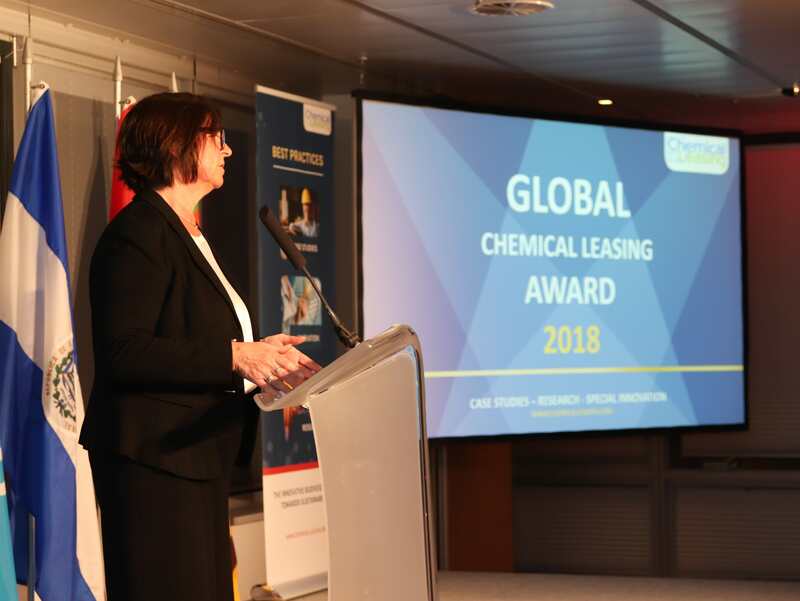 Government representatives of Austria, Germany and Switzerland highlighted the importance of Chemical Leasing and the need to support policy dialogue, up-scaling and mainstreaming as well as establishing partnerships at the global level. 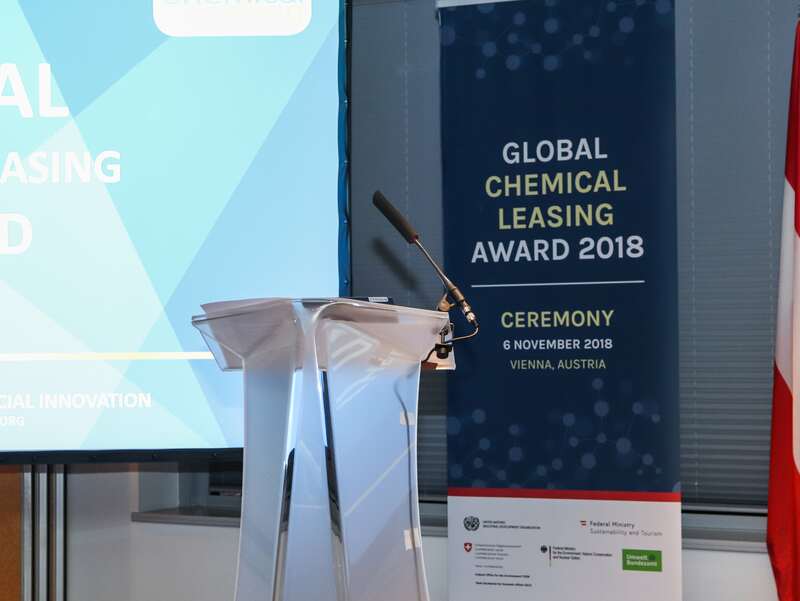 To demonstrate their commitment to this goal, the governments of Austria, Germany and Switzerland signed the Declaration of Intent on Chemical Leasing in 2016. 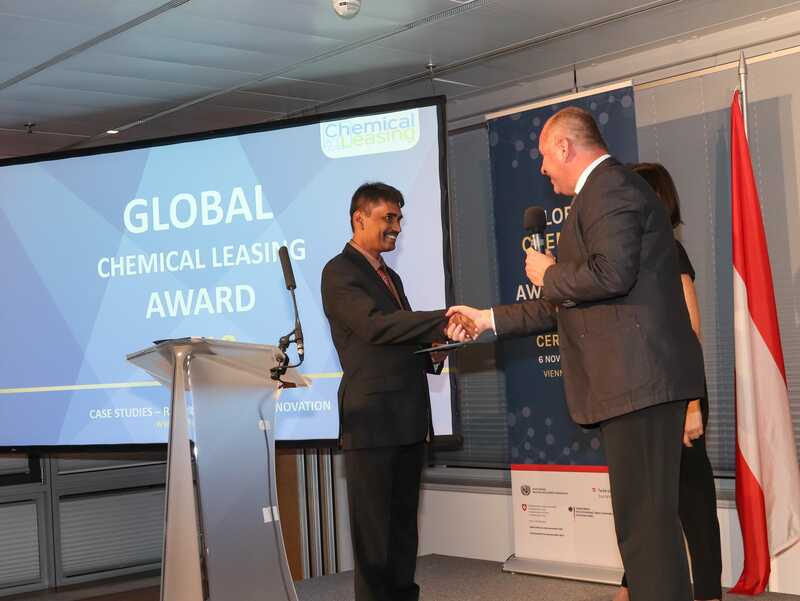 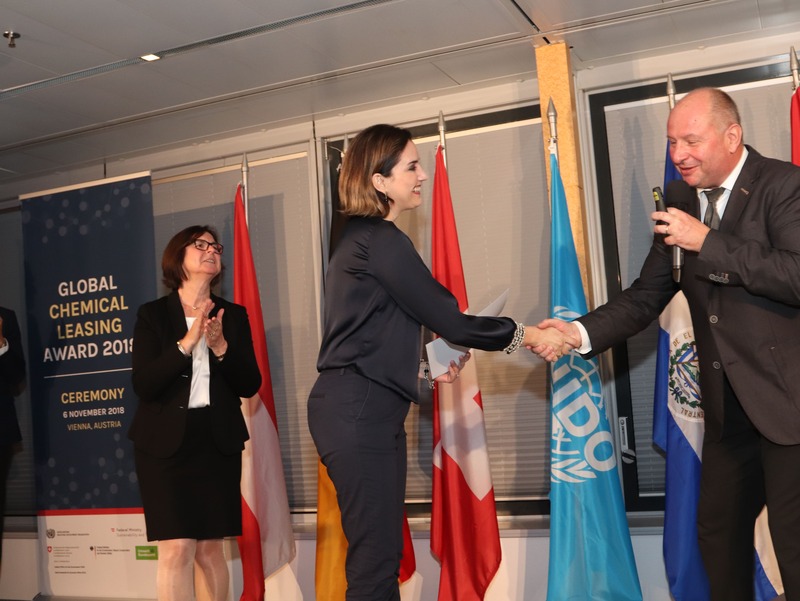 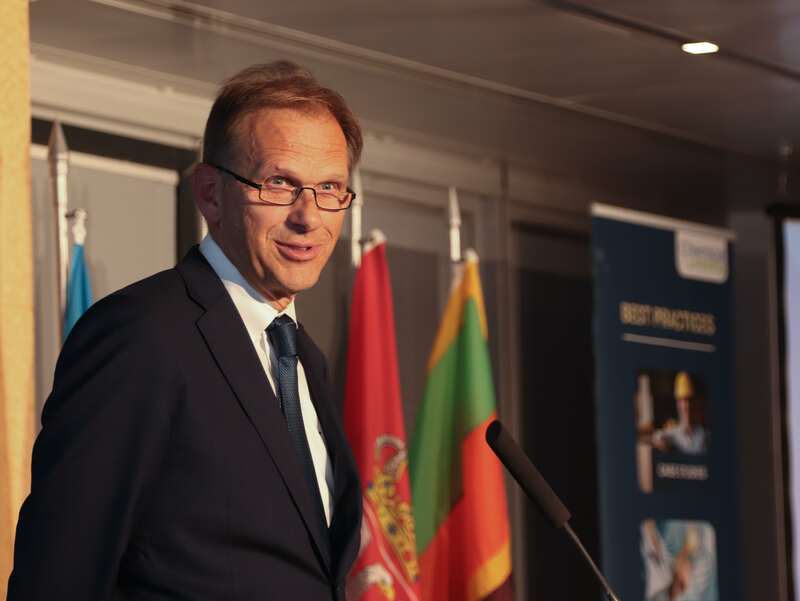 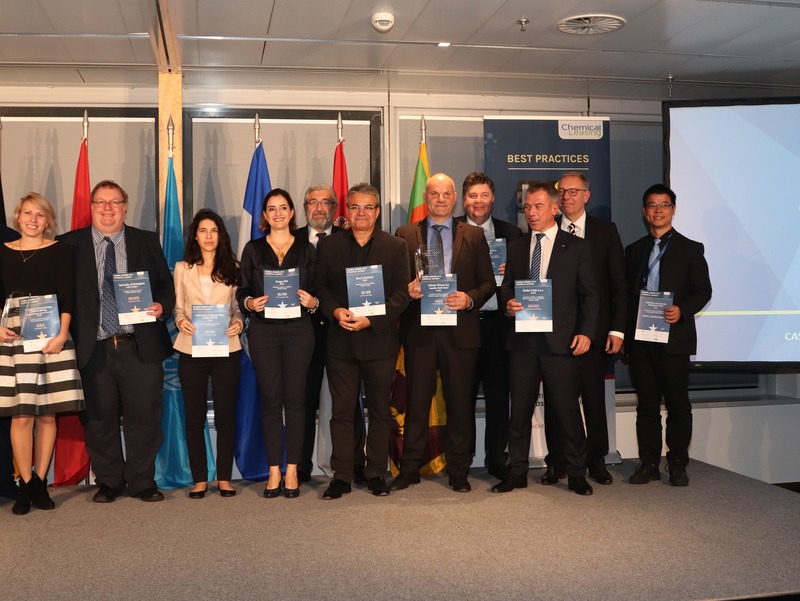 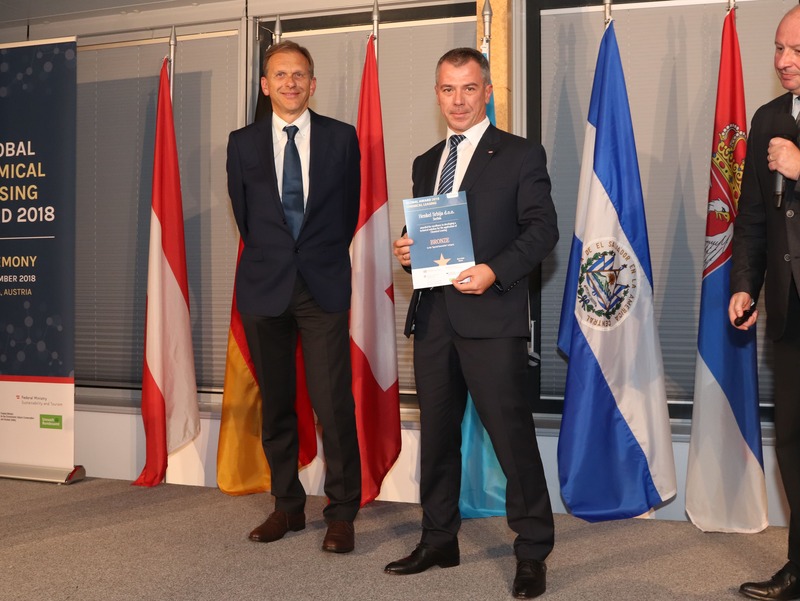 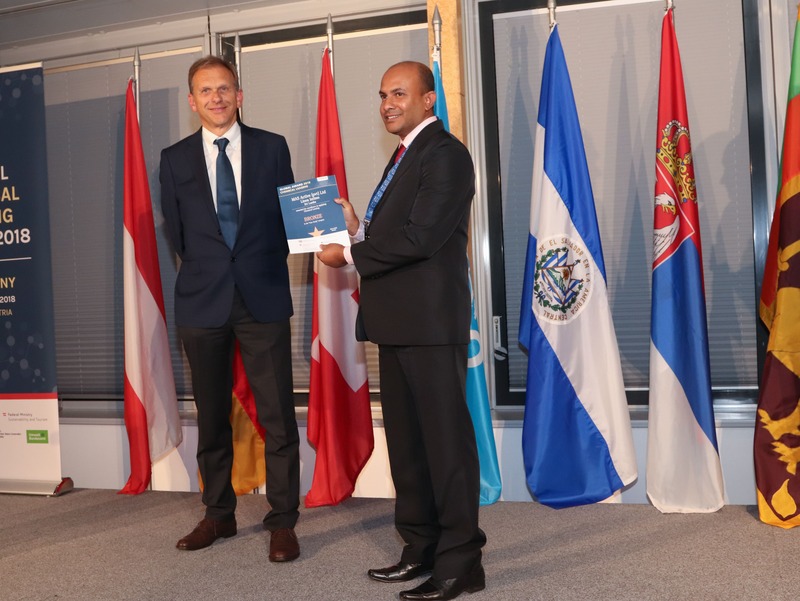 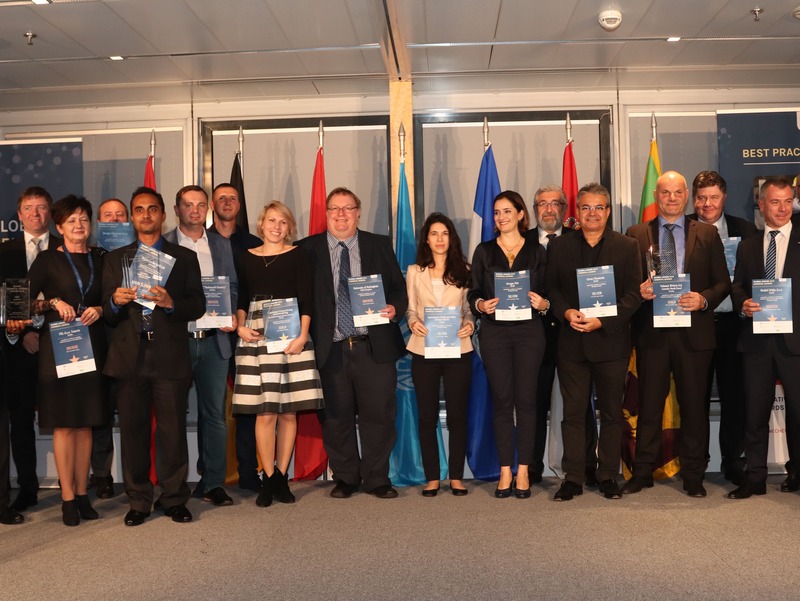 Having seen the results of Chemical Leasing in their countries, El Salvador, Sri Lanka and Serbia announced their interest to join this endeavour on the occasion of the fourth Global Chemical Leasing Award. 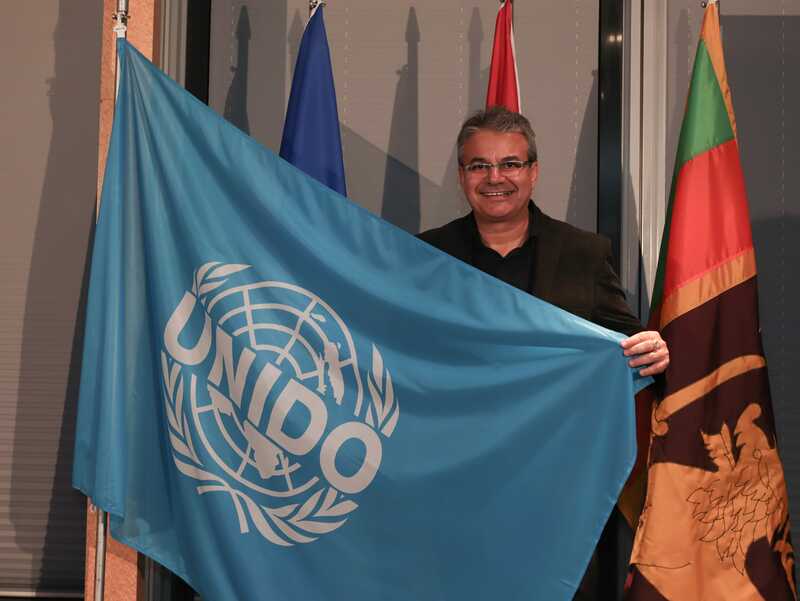 Philippe Scholtès, Managing Director, Programme for Technical Cooperation, UNIDO stated that since 2005 UNIDO moved from a Chemical Leasing implementer to a promoter and facilitator enabling countries at global level to link economic and environmental benefits through this circular economy business model. 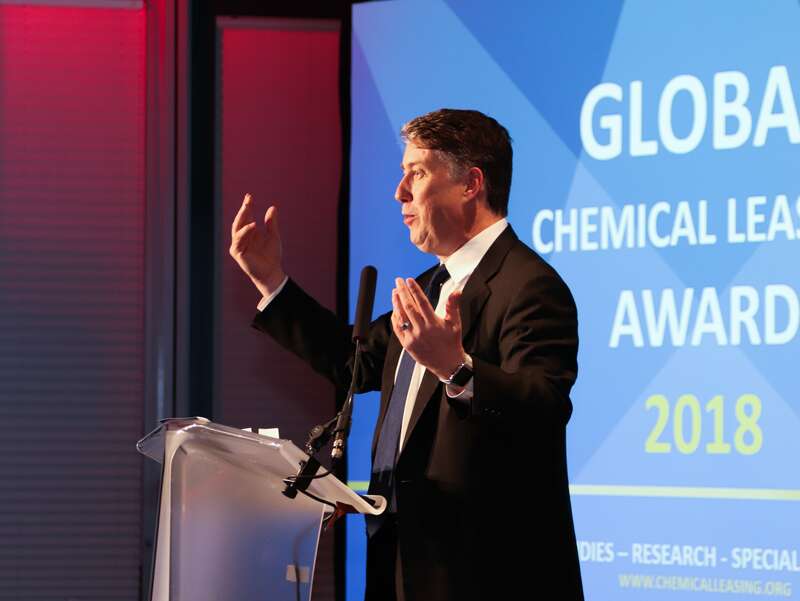 Paul Anastas, Founder of the 12 principles of Green Chemistry”, director of Yale University’s Center for Green Chemistry and Green Engineering, USA, delivered the keynote showing the need for a paradigm change and the contribution of innovative business models and Green Chemistry to sustainable industrial development. 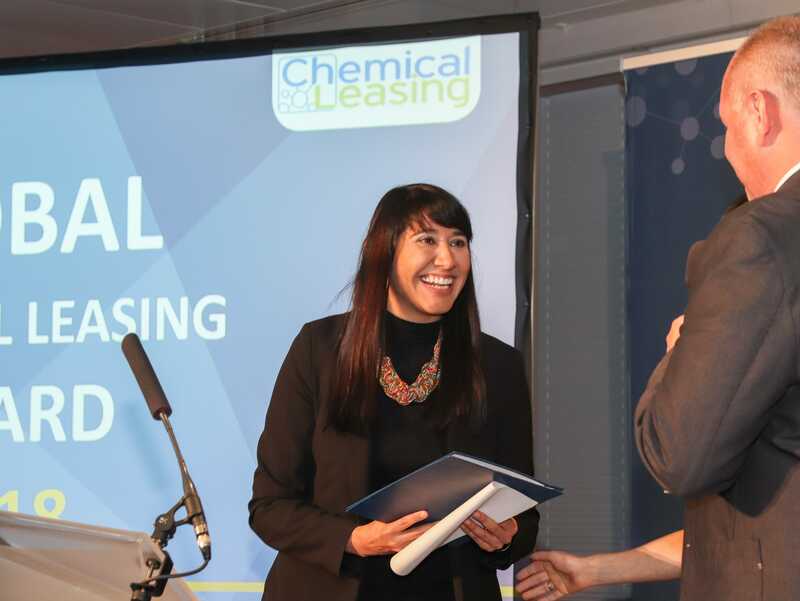 The presentation of UNIDO: "Paving the Way for the Chemical Leasing Global Success Story"